This Team Rumours guy (or guys) really knows what's up. Now he's called part of the Atherton equation, today the official press release regarding their departure from their five year sponsor Commencal was released. Team Rumours has them getting more wings and heading to GT (will there still be room for Beaumont?) Anyway here's the press release from Commencal. Together we have written some of the most beautiful storylines in the history of World DH, the story of one family, two brothers and a sister, as united in life as they are by their talent. A story that the sporting world loves to generate. 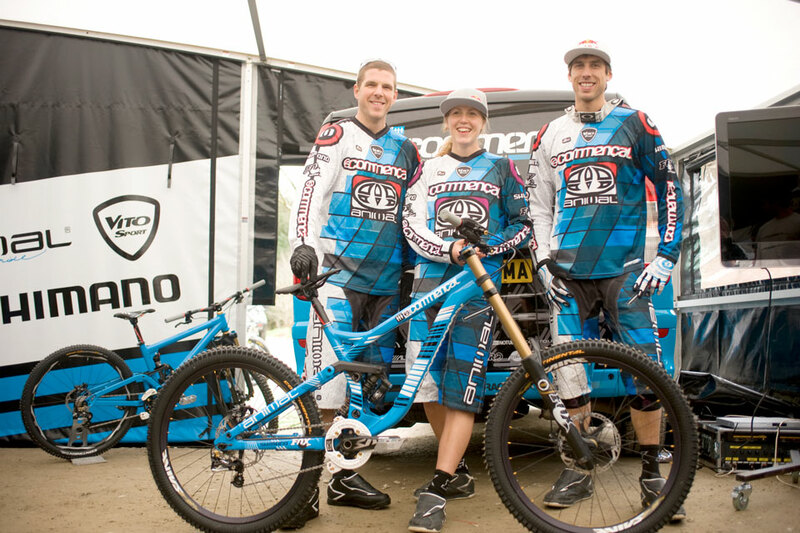 Back in 2007, encouraged by COMMENCAL UK, the Atherton family started riding the Supreme DH. Passionate about competition and the emotions generated by the discipline, Max Commencal, the founder of the Andorran brand, lost no time in making them his ambassadors. The world's DH elite dominated by a single family! Between 2007 and 2011, Rachel, Dan and Gee claimed no fewer than 52 victories, 17 of which were World Cup events. Obvious highlights include World Championships won by Gee and Rachel in Val di Sole in 2008. That same year, during the Vallnord World Cup, on COMMENCAL's home turf, Gee and Rachel dominated the DH while Dan, the eldest of the three, won the 4X final. A truly epic weekend, almost beyond belief. In 2008 and 2010, Rachel and Gee were respectively crowned overall DH World Cup winner, a triumph. A parallel evolution Partnering with the world's best riders has always been the generator behind the evolution and performance of Commencal's bikes. During these five years of cooperation, athletes and engineers have strived to create new, more modern, stiffer frames, with optimized weight distribution and lower centres of gravity. All with one goal in mind: to be on the top step of international competitions. Given the track record acquired by the Supreme DH throughout its three incarnations, with two World Championship titles and two overall World Cup wins, we are not exaggerating when we say the partnership was beneficial! But it is not just about the material and technological aspects of the relationship. Over the past five years, the association between COMMENCAL and the Atherton family has resided especially in their mediatization and accrued recognition for both sides by the riders and followers of the sport. The connection between these two entities shows primarily that, without each other, we would certainly not be where we are today. We would all progress, of course, but this partnership has on the whole brought some panache to what is a beautiful story. Today we are about to go our separate ways (the contract runs until the end of the year), but the entire COMMENCAL staff would very much like to thank Rachel, Gee and Dan, as well as their manager Brownie, and their staff for all the beautiful moments spent together, the ups and downs, doubts and victories, which ultimately will be part of two stories forever united.